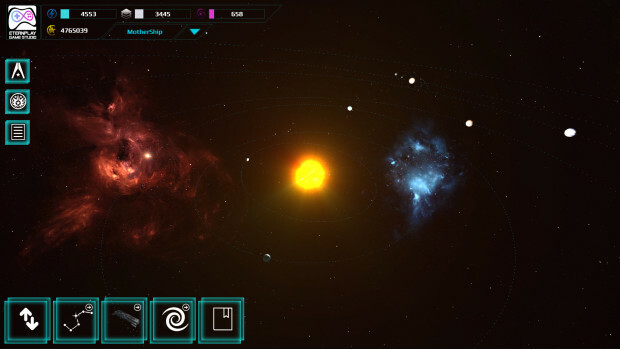 UNIVERSE of SKAGRY is a 4X MMO space strategy, developed by Eternplay game studio. Story is about the future, when space has long ceased to be a mystery for humans and conquering new worlds became commonplace, humans discovered creatures with an incredible ability to regenerate, called Skagry. Later, their genome was discovered to contain information that gave people eternal life. However, humans found that to be insufficient and began breeding Skagry and experiment with their genes. At some point the situation got out of control and Skagry broke free. Driven by a collective mind, they overtook planet after planet and soon filled the galaxy. To counter Skagry, a united government called the Confederation was established, charged with correcting the mistakes of the past and returning dominance over the universe to humanity. In the future, when space has long ceased to be a mystery for humans and conquering new worlds became commonplace, humans discovered creatures with an incredible ability to regenerate, called Skagry. Later, their genome was discovered to contain information that gave people eternal life. However, humans found that to be insufficient and began breeding Skagry and experiment with their genes. At some point the situation got out of control and Skagry broke free. Driven by a collective mind, they absorbed planet after planet and soon filled the galaxy. To counter Skagry, a united government called the Confederation was established, charged with correcting the mistakes of the past and returning dominance over the universe to humanity. There are no pre-set missions and there are no pre-determined linear scripts that every player must progress through. 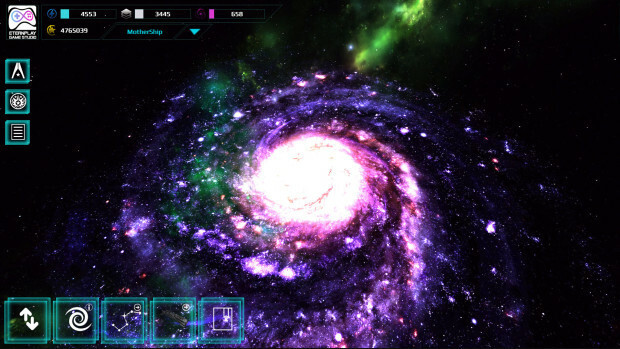 Story arcs in the future will be based on the Lore and will occur galaxy-wide for every player to deal with at the same time, regardless of how long they have been playing. What you learn from the revelations of the story arc, and how you choose to respond to these new developments will determine how your galaxy map progresses. You are the Commander of the Confederation Fleet. You have your own Mothership that you will never lose. You are not bound to any location, and can move freely across the game world. Movements going by hyper-drive of your Mothership, from one solar system to another and depending on the distance, may take a different time to prepare hyper-drive to jump. Your main task - the colonization of planets by attacking them to your fleet. You can send a fleet to attack from your Mothership or any colony belongs to you. 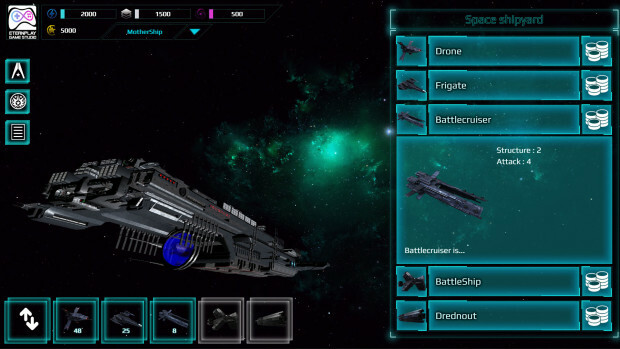 After a successful attack you get control of the planet and will be able to extract her resources and produce warships. The more colonys you will have, then faster you will grow. In contrast to the Mothership, wich you can not lose, colonies are vulnerable to attacks Skagry and other players, so you have to protect them. - Research compartment - for science and technology improvement. - Military section - required for the production and storage of warships. - Industrial bay - is used for the processing and storage resources. 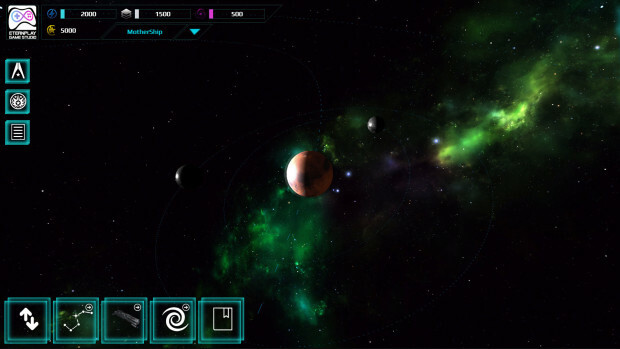 Despite the autonomy of Mothership, players will have to colonize planets for more rapid development. Since the Mothership capacity is limited, with no planetary colonies it will be difficult to build a strong fleet and take a leading position in the Confederation. Depending on the type of planet, colonies receive various bonuses and penalties on resource extraction, construction of buildings, manufacture of warships. Improvements of buildings on the planet are not restricted by the level, so you can improve your colony indefinitely. Colonies also have their own defense system to reflect attacks Skargy and other players. A unique feature of our game is the election of the President of the Confederation. Each week, players vote for one of ten candidates. The President-elect receives bonuses in all aspects of the game for themselves and for members of the alliance to which he belong. The President may assign players to the post of ministers, who will also receive an additional advantage in the game. Communication with the players and alliances is very important. Your diplomatic skills can help you become a President of the Confederation. You can create your own alliance and rule them alone. However, multiple alliances can band together into a large group. The resulting coalition of alliances rests upon their deep and complex diplomatic relationships. Such relationships should prevent the coalition from collapsing in upon itself. Yet problems can arise when coalitions become large and unruly, and self-interest starts to eat away at formerly mutually-beneficial relationships. Since Universe of Skagry does not prevent alliances within a coalition from turning against one another, havoc may ensue. 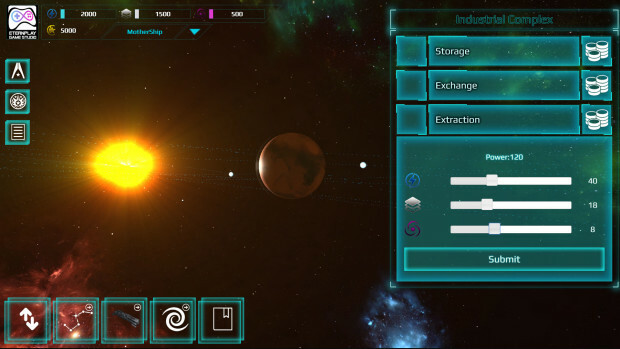 The game has no restrictions on the level of development of colonies and technologies. You can upgrade any building or technology to the level you want. This will allow you to plan your development in greater detail and focus on the aspect of the game you are interested in most. You will be able to attack any player, regardless of his development level and the size of his army. Anytime and anywhere. As a reward for defeating other players, you will earn PVP points needed to advance in the ranking and secure the Presidency of the Confederation. One of the distinctive marks of Universe of Skagry is its music. We need your support to make our game such as every player in the world dreamed of. Your support is critical for the very last bit of development and testing required for our planned initial release on Steam in the next 3-4 months. Please pledge to get us over the finish line. Spread the word! We need all the support we can get! 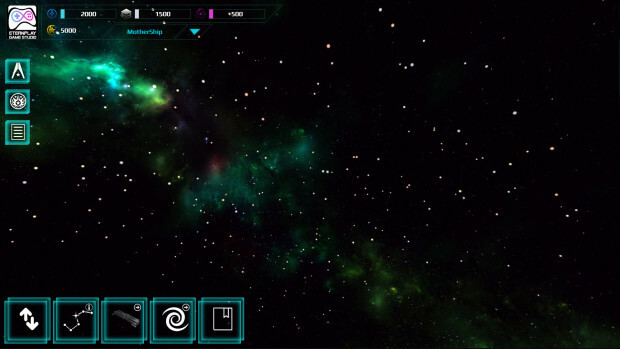 - Continuing development of other features including NPC AI and offline colony management. - Debugging and further optimizing/testing the server. - calculations and balancing of the player and NPC forces. Even if you can't contribute as a backer, you can help by spreading the word. Feel free to post any of our promotional art, videos and links anywhere on social media or forums or any place that might help spread the word!